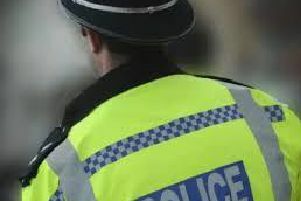 Police are appealing for witnesses after property and bags were stolen from Walton High School students in Milton Keynes. At around 6.35pm yesterday (February 6) there was a burglary at The Venue in Walton High School as students were taking part in a show. The offender entered back stage where the property and bags of seven students were stolen. He is described as a mixed race man, of slim build and aged in his forties or fifties. He had a bald head and a beard which had grey hairs, and was wearing dark clothing. It is believed that the offender then used a Ford Fiesta to leave the scene with the registration number which starts with KR02. Investigating officer, PC Ben Chandler of Milton Keynes police station, said: “This incident happened when students were preparing for a show at the school. “A number of items were stolen and we would like anyone who has information about this incident to get in touch. “If you think you witnessed this or you saw a vehicle matching this description please contact officers. Anyone with any details which could assist the investigation should contact the 24-hour Thames Valley Police enquiry centre on 101 quoting the reference 43190039184, or you can make a report online.